Stand By for Justice (and Brisket)! 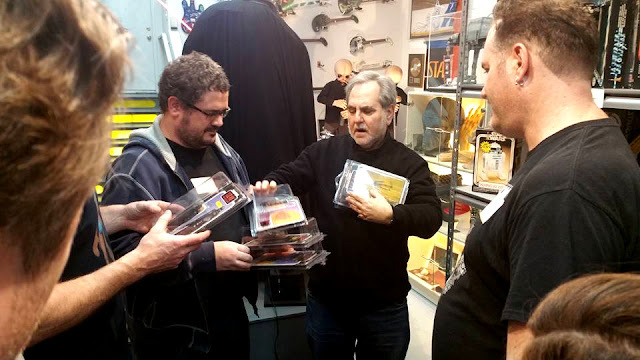 It had been a long time in the making, but the club finally made its second pilgrimage to Steve Sansweet's Guinness World Record-holding Star Wars collection at Rancho Obi-Wan. 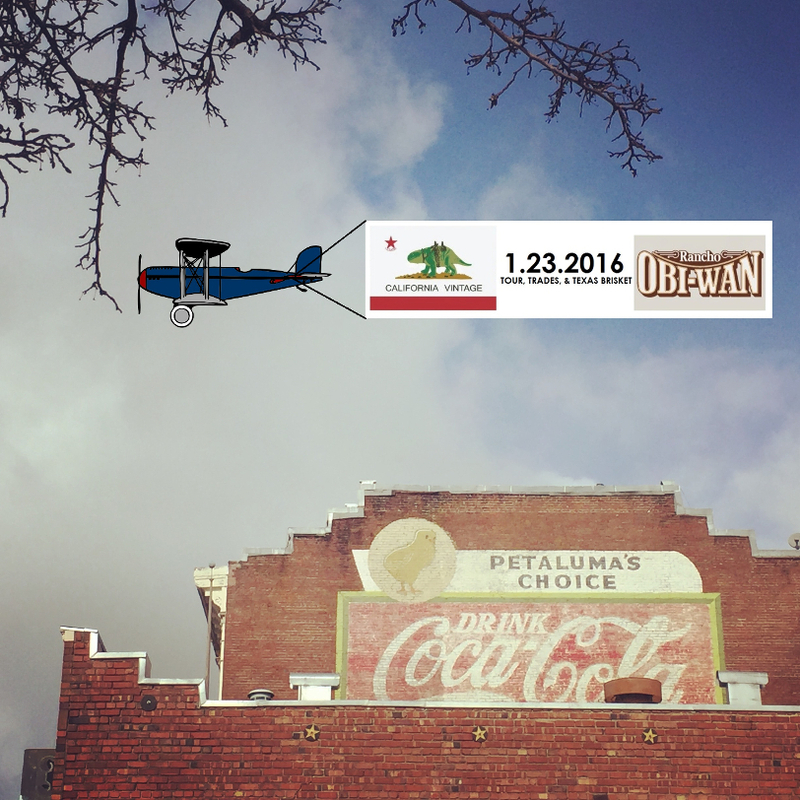 Vintage collectors from throughout the state converged on the quaint and quiet town of Petaluma, forming the group's largest gathering yet with many familiar faces reunited and several newcomers joining in on the festivities. Though this was a return visit for many of us, the museum's collection is full of surprises and simply necessitates repeated attendance to even begin to appreciate its scope. The end-of-tour reward of authentic Texas brisket (with all the fixins) prepared by Rancho's General Manager Anne Neumann was more than worth the trip all on its own. For the SoCal contingent, arriving the evening before the big tour was a good decision. 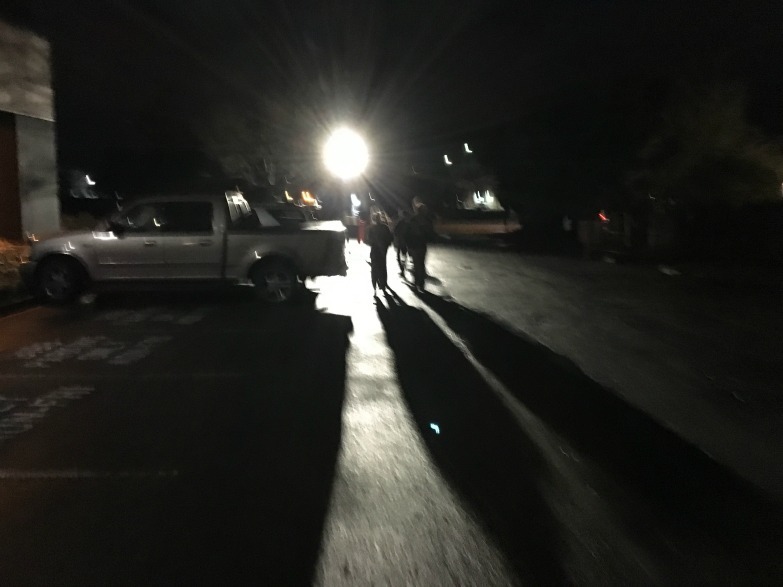 As usual, the CAVSWCC traveling troupe found itself once again seemingly lost on a dark road (no cows, fortunately) -- this time on the way to the Lagunitas Brewery, which was conveniently located near our base of operations at the Quality Inn. After stumbling in the dark for what was beginning to feel like a worrisome time and distance, we found our way to the brewery's manufacturing area and shipping yard, which was reassuring but not quite where we needed to be. The lights and sound of live music were not far off, and we eventually made our way to the tasting room for a good meal and several fine brews. The next morning, we paid a visit to Brian's Comics in old downtown Petaluma to meet up with some of the Northern California collectors arriving in town. Located adjacent to the famous alley where Curt Henderson rigged the bumper of a police car in American Graffiti, the shop is owned and ran by a man named Brian Christensen, who also volunteers at Rancho Obi-Wan. This subterranean comic lair was full of character and was as welcoming of a space as any comic book fan could ask for; it almost felt as if we were guests in Brian's decked-out den rather than a place of business, which made it all the better. It was here that we met up with the club's official R.O.W. liaison Dwayne Smith and a few of the newcomers. Once everyone had made their purchases, the contingent increased ranks with a rendezvous at nearby Mary's Pizza Shack to fuel up for the main event. As the clock struck 2pm, the full caravan descended upon the museum and the tour began. One of the first things we had noticed were the machinations of our future feast: the magnificent R2-BBQ. Along with a brief history of the property itself, Anne gave us a brief glimpse of the two blocks of brisket which had many of us salivating. As rain started to fall, the group b-lined it for a section of the museum that represented its newest expansion and hustled indoors. We became quickly aware that we were surrounded by a recently delivered mixture of high quality display fixtures and a full-sized Jabba the Hutt that were being temporarily stored there -- all of which are planned to be integrated into the museum in the near future. As our above-average-sized tour group shuffled into the museum's stairwell entrance, Steve greeted us with his usual enthusiasm and we were well on our way. With all of the hoopla for The Force Awakens (including the aforementioned display pieces from a Target-sponsored event that had recently arrived), the museum is in an understandable state of transition. Nevertheless, the tour experience was as dense as ever in terms of the range of items highlighted and the stories behind them. To take on a brigade of 19 collectors as a one-man-act had to be somewhat daunting for Mr. Sansweet, so I'm incredibly thankful that we were all able to stick together. One of the most fascinating sections of the museum is the Library containing a comprehensive collection of Star Wars print publications from throughout the decades and around the world. In terms of vintage items alone, we were shown Steve's first official Star Wars collectible pulled from a trashcan at his workplace (another example of which can be seen here), a book of sheet music for children depicting Chewbacca sipping on a martini, and even more bizarre, unlicensed 1980s comic book adaptations from Asia (one of which depicting R2-D2 wearing bright green pants). To give an idea of the depth of awesomeness held within this cozy space, one of my collecting grails sat on a lower shelf behind a box of other volumes: the original novelization in Icelandic (which tells of the saga of "Flame Spacewalker," if it wasn't already cool enough). 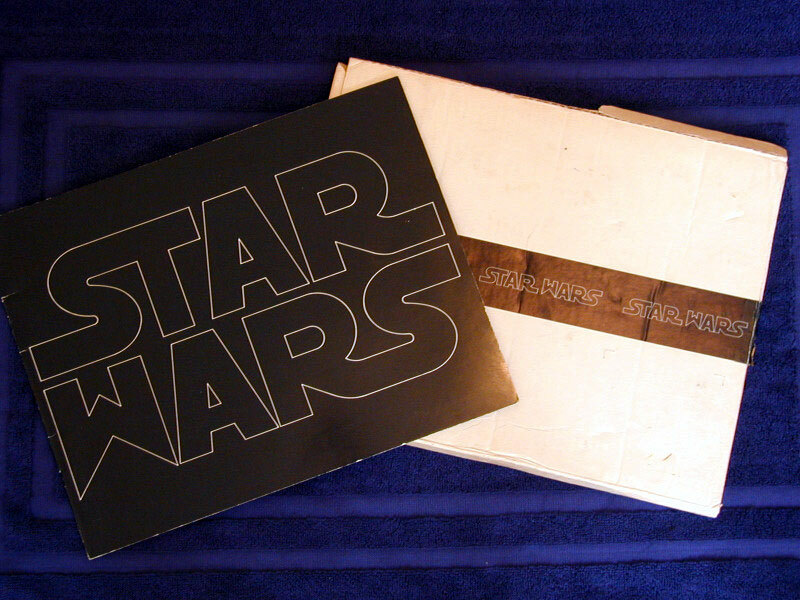 One of the rarest Star Wars posters produced caps off a hallway adorned with original one sheets: the 1985 "Triple Bill" for a one-time showing in 9 American theaters (each theater received only 2 of these posters). The above warning is adhered to the entrance to the first main exhibit space. "No Bargain Prices" strictly enforced. One of many vintage-infused display sections. Trevor is overwhelmed by Uzays. As the official tour wound down in the third gallery space, wet had worked up a considerable appetite. Lucky for us, we were just in time for Anne's brisket dinner which was flat out delicious. In fact, it was so delicious that no pictures of the entire spread exist! Soon thereafter, folks began unloading their vintage wares for the traditional CAVSWCC Swap Meet held in some form at each gathering. This time around was particularly bustling and saw a number of great items materialize. Mark E. (of Mortar Heads fame) unveiled his most spectacular piece yet. Any trip to Rancho Obi-Wan isn't complete without some quality time spent in the arcade. The gang tested their skills with a myriad of games to choose from. Meanwhile, Melissa maneuvers her speederbike through the forest moon of Endor. Tessa flips some pinball with some slick vintage backglass. Just because Don loathes the film doesn't mean he has to loathe its pinball incarnation. With that, the evening came to a close and everyone started making their way home. Though I wish it had happened much sooner and that we could accommodate everyone who had missed this round, these events are always worth the wait and there will most certainly be other opportunities in the future. I'd like to especially thank Dwayne Smith for helping coordinate the tour, Anne for going the extra mile to fit in and feed so many of us, and our host and tour guide Steve for another memorable Star Wars collecting journey. We unfortunately missed a few folks for the group photo: Katie & Loyal, Matt M., and Shawn B. For a small group of us, the adventure continued on the way back down south the following day. Having never been to the Presidio National Park in San Francisco, we decided there was no better time to pay a visit to the current home of Lucasfilm and ILM. The company's offices at the Letterman Digital and New Media Arts Center are among several on the impressive campus. Though the interior production offices aren't open to the public, a pleasant stroll around the exterior and main entrance courtyard still provides a nice Star Wars stop if you're ever passing through. C-3PO gazes innocently from a Lucasfilm office window. This Stormtrooper guards his office more menacingly.